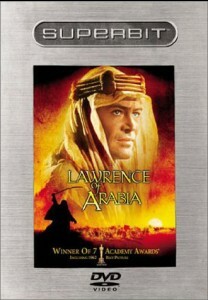 Winner of seven Academy Awards®, including Best Picture of 1962, Lawrence of Arabia stands as one of the most timeless and essential motion picture masterpieces. 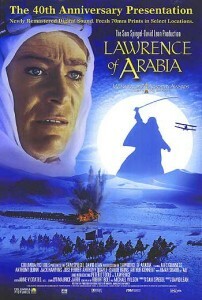 The greatest achievement of its legendary, Oscar-winning director David Lean (1962, Lawrence of Arabia; 1957, The Bridge on the River Kwai), the film stars Peter O’Toole – in his career-making performance – as T.E. 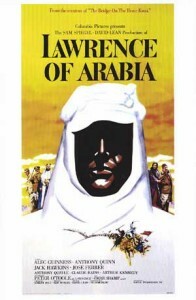 Lawrence, the audacious World War I British army officer who heroically united rival Arab desert tribes and led them to war against the mighty Turkish Empire. 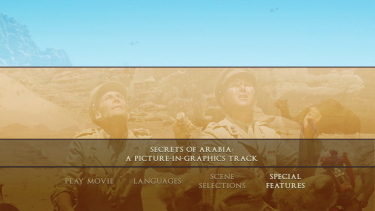 Newly restored and remastered at 4K resolution, the massive scope and epic action of the Director’s Cut of Lawrence of Arabia can now be experienced like never before in this landmark 50th Anniversary Edition. Big thanks to Enrique B Chamorro for the Region 1 Screen Caps and to Conrad McDonnell for the Region 2 DVD Screen Caps!! 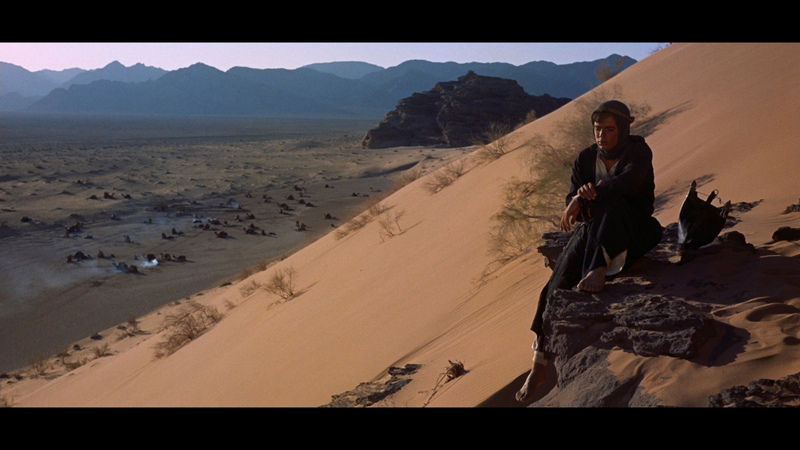 • The Making of Lawrence of Arabia doc. 61:24 min. 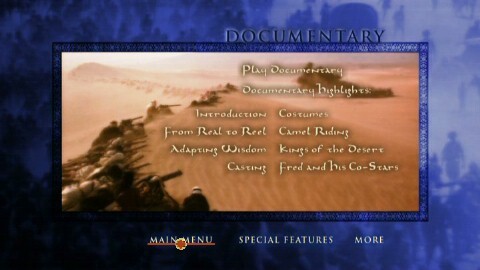 • Conversation with Steven Spielberg 8:48 min. 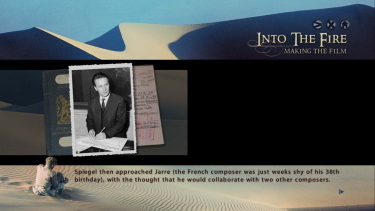 • Wind, Sand and Star: The Making of a Classic 4:33 min. 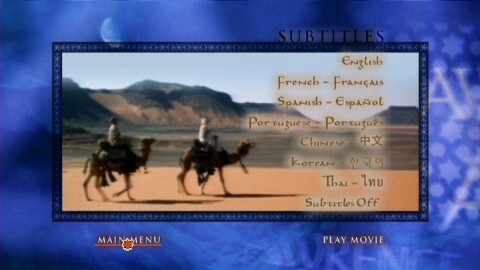 • The Camels Are Cast 1:59 min. 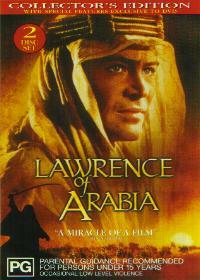 • In Search of Lawrence 4:59 min. 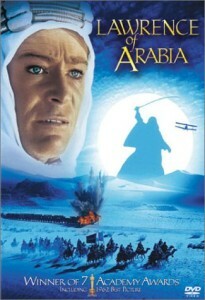 • Romance of Arabia 4:39 min. • Advertising Campaigns: montage of publicity materials 4:50 min. 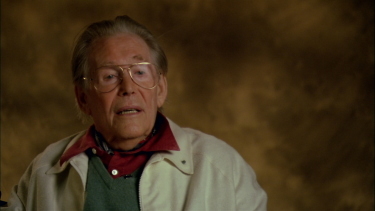 • New York Premiere newsreel 1:07 min. 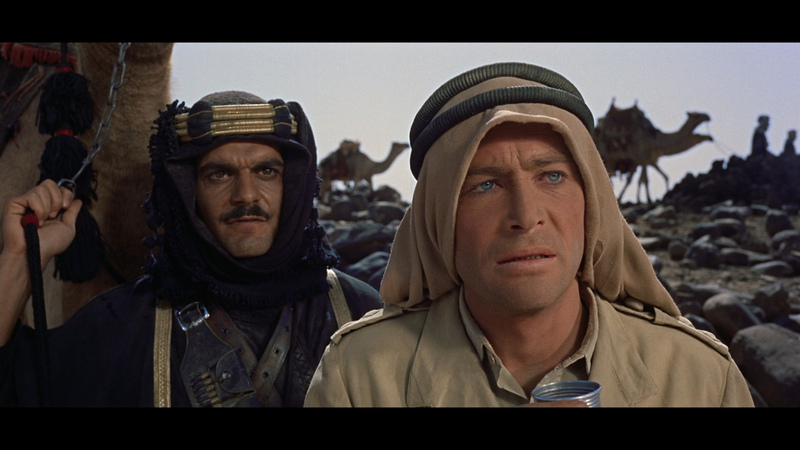 • Trailer for Lawrence of Arabia 4:42 min. 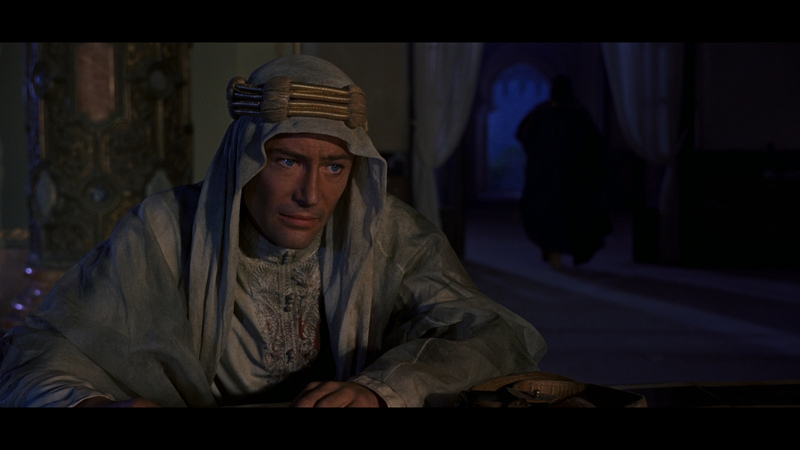 • Trailer for Bridge On The River Kwai 3:08 min. 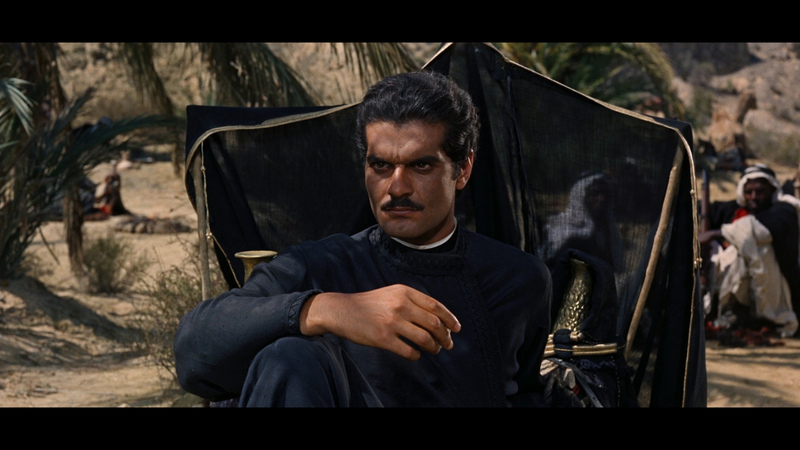 • Trailer for The Guns of Navarone 3:42 min. 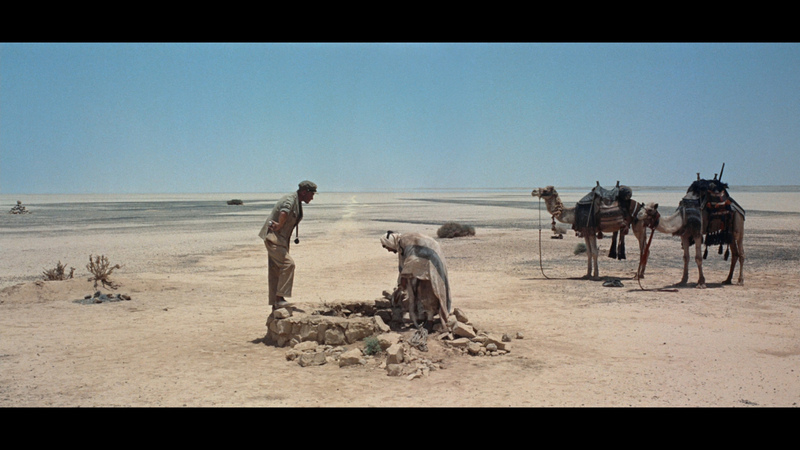 ADDITION: Sony - Region FREE - Blu-ray - September 12': Short comments - this is easily the definitive release - the restoration looks incredible on Blu-ray - one of the best releases of the year Stunning! 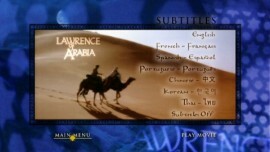 - - I presume the upcoming US edition will have virtually the same a/v transfer (perhaps different subtitles etc.) We will report more (on the extras - a second, single-layered Blu-ray disc) soon - and compare to the US edition if necessary. As of now a STRONG recommendation! In terms of overall image quality the two Superbits are the leaders, closely followed by the R2/4 Collector's Edition. 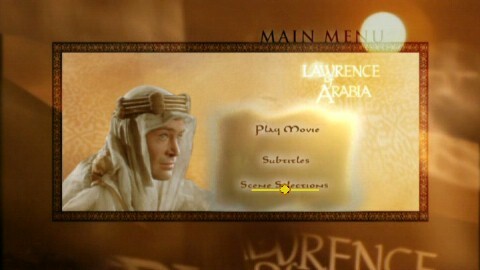 If you have an NTSC-only DVD player then you should be very happy with the R1 Superbit, but for those with PAL capability then the R2 Superbit is the one to go for, as it is the most detailed - remember that for PAL versions the screenshots here are scaled down; the original resolution of the PAL images was 1019x573 pixels. The colours on the R2 Superbit seem marginally more accurate: the R1 Superbit looks slightly too dark in comparison. The two older R1 releases are both cropped at the bottom of the frame - in screenshot 1, take a look at the paintbrush or in screenshot 2, the chair legs. The framing of the R1 Superbit and the two PAL releases is therefore more accurate. If you want the extra features, then the R2/4 Collector's Edition also benefits from a good transfer: before the Superbit came along the transfer of the R2/4 Collector's Edition was considered reference quality, and even doing a side by side comparison with the Superbits it is hard to fault it: the differences are minor, the main difference is that there is more filtering than in the Superbit versions so slightly less overall detail - look at background details in each shot, for example in screenshot 2 look at the tower outside the window or the oil painting on the far wall, or in screenshot 4 look at the palm fronds. There are also subtle contrast and colour-balance differences in the Superbits and the R2 Superbit to my eyes looks the most natural, while on a side by side comparison the R2/4 Collector's Edition is slightly too warm in colour although not unpleasing. 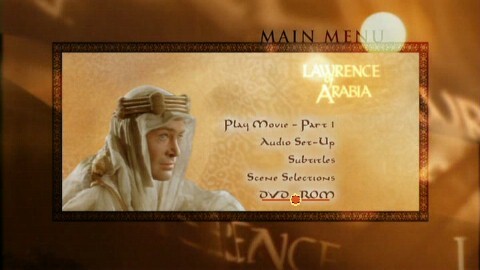 In conclusion, the R2 Superbit achieves that near-3D quality of the greatest DVD transfers, and is a pleasure to view on a large screen home cinema setup: it represents the best available version of this film on DVD, assuming that your equipment is capable of playing R2 PAL and assuming that you can tolerate PAL audio speedup or compensate for it (e.g. 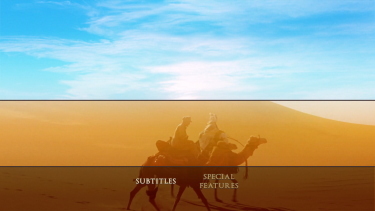 using Reclock on a HTPC). 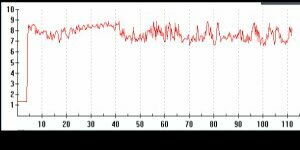 Because of the PAL pitch change, the top place for audio must remain with the R1 Superbit which is only fractionally behind the R2 Superbit in terms of image quality. The R4 Limited Edition on first release had a cloth binding similar to the R1 Limited Edition, now unavailable since early 2003 but the same disks are sold in standard Amaray packaging as the "Collector's Edition" which is region-coded R2 and R4 and sold in Australia and New Zealand. 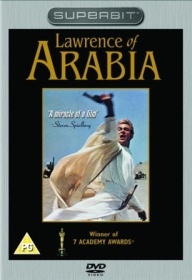 In the UK, there has never been a cloth-bound Limited Edition, it has always been marketed as the "Collector's Edition"; note that the Collector's Edition cover in the UK has the black background similar to the R2 Superbit, but the disk contents of the UK Collector's Edition are identical to the Australian Collector's Edition shown here. 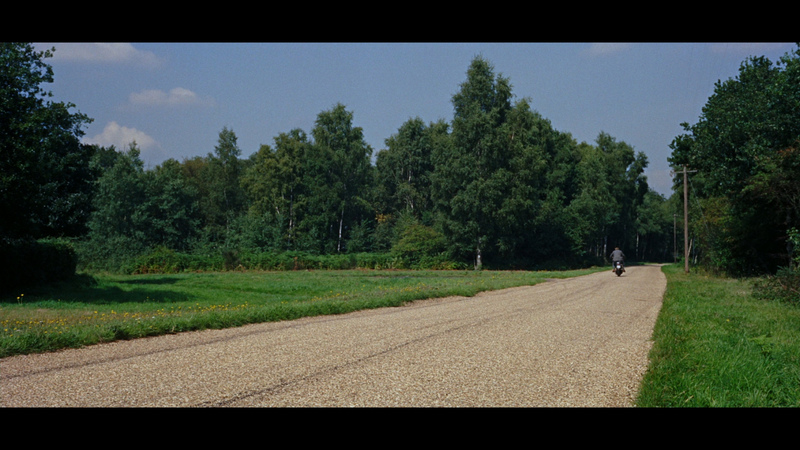 The legendary film restoration by Robert A Harris is generally superb, but mild film damage remains visible in some places - for example on screenshot 5 (Chapter 32) there are pale vertical bands in the centre of the frame and you can also see similar damage remnants in other places, for example Chapter 16. 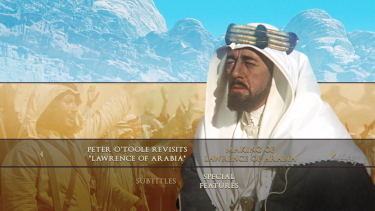 One commentator has said that these pale bands appear only on the DVD versions and not on the restored film shown theatrically, but on the other hand this type artifact may be a manifestation of the revealing nature of a good DVD transfer. 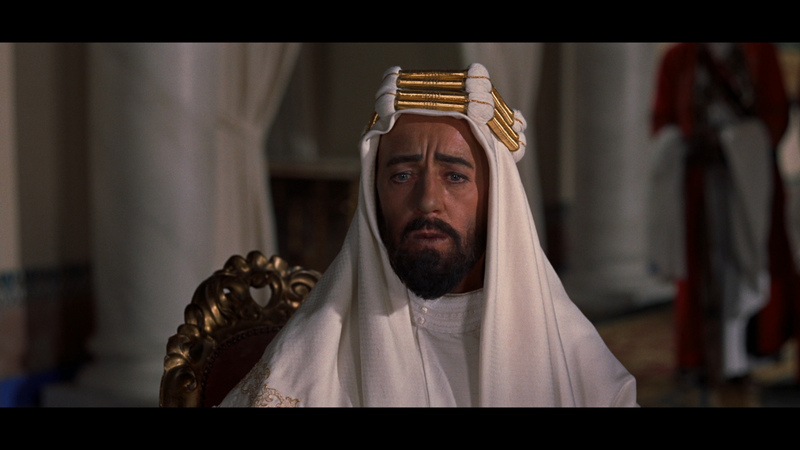 There are missing frames on a handful of occasions - it is possible that this was a result of the original filming in extremely challenging conditions although it seems more likely that these were individual frames which were too badly damaged to be restored. One can only hope that on some future release the position here can be improved using technology. 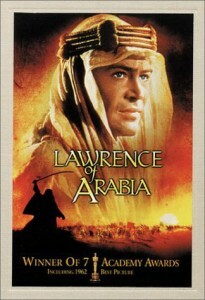 For the scenes that were cut from the film during its commercial butchery in 1963, the original dialogue has been lost and therefore it had to be re-recorded as part of the 1989 restoration project; fortunately the original cast were all available. 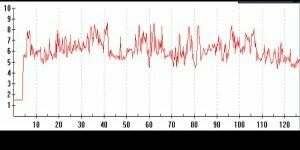 This work has been done to a high standard so that it is seamlessly integrated into the film, at least on a casual viewing; on a critical listening the modern passages can be detected by their higher recording quality. 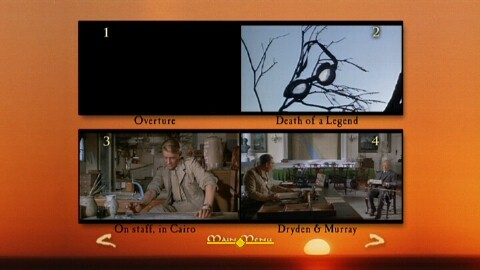 All the DVD versions include an overture and an entr'acte or interval when the screen is blank while the tremendous theme music plays. On the non-Superbit versions, there is a brief message stating that that was the director's intention, but on the R2 Superbit there is no such message, the screen is simply blank for the first 5 minutes of the film which could be alarming! 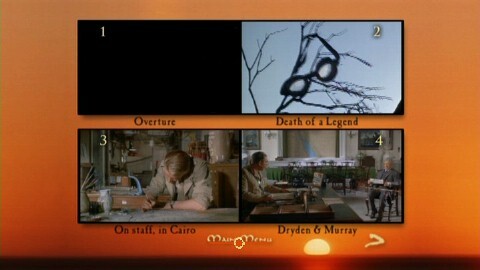 The inclusion of these musical passages makes it difficult to compare the DVD running time (227 minutes) with the original 1962 cut shown at the film's premiere (said to be 222 minutes): it is believed that the 1989 restoration is in fact still missing a few passages compared to the 1962 cut. Previous Comments (proir to addition of Region 2, 4) It appears as if Columbia used the same transfer for the current single disc from the limited edition set. 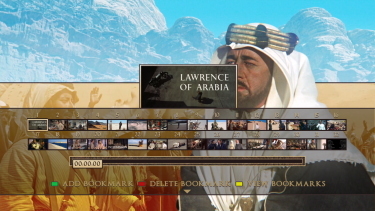 A completely new transfer was used for the Superbit edition that was supervised by restoration expert Robert A. Harris... of the three, the Superbit is the winner in image. 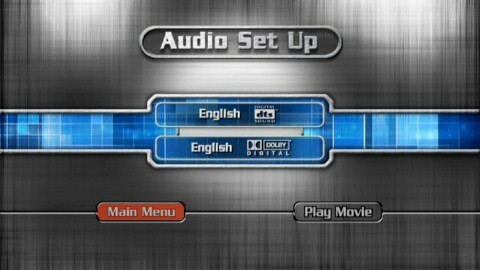 The Superbit also benefits from a DTS audio track. 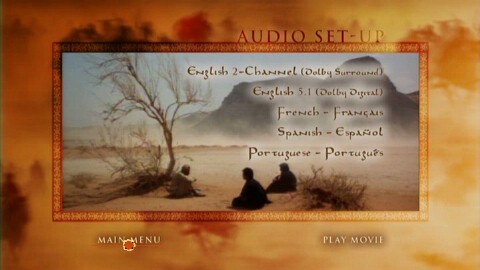 The extras are well done on the limited edition, it is a shame that a Superbit Deluxe Edition was not made instead. 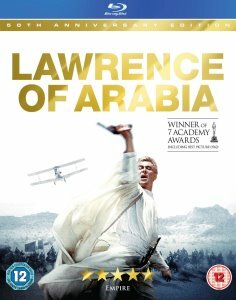 LAWRENCE OF ARABIA - All the Columbia-TriStar DVDs come from the newest version of the film, upgraded further since the tremendous 1989 restoration and reissue. 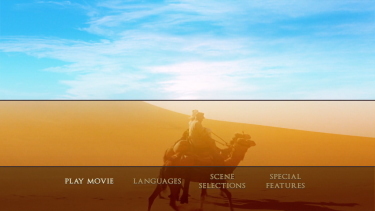 This includes some digital cleaning of the soundtrack not possible then, but the newest Superbit DVD has more picture depth and a wider palette of colors than the previous DVDs. 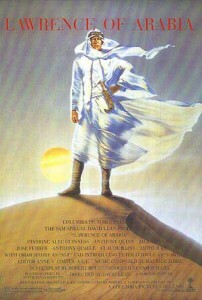 Robert Harris, who was primary in saving the film to begin with, participated in the Superbit edition’s transfer. On a very expensive video projector/home theater set-up, I viewed the Superbit recently. 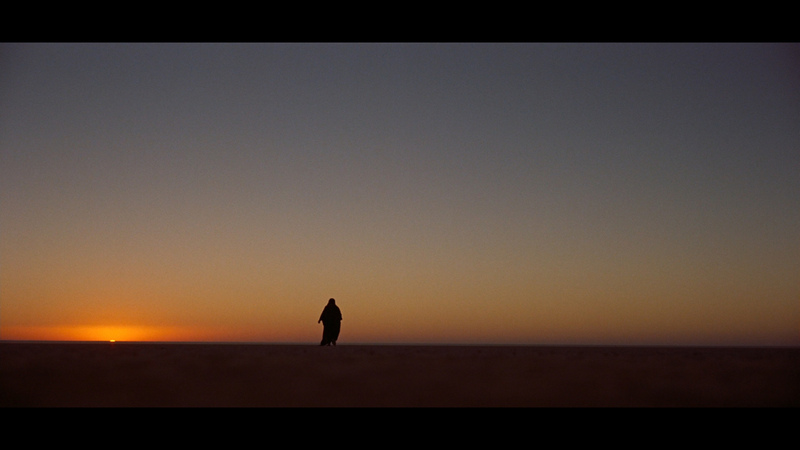 It still was missing some detail and depth, but there is so much detail in the cinematography by Freddie Young, B.S.C., that it will take Digital High Definition to really do this film right on home video anyhow. The Superbit is the best we are going to get until then. 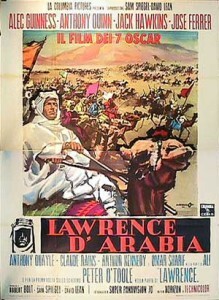 As for the sound, the Dolby Digital 5.1 never cut it in the Limited Edition or its successors, but the DTS on the Superbit (DTS was also offered in the latest round of 70mm bookings) is much more like it, finally offering the fullness and impact the original magnetic stereo tracks did in 70mm prints. 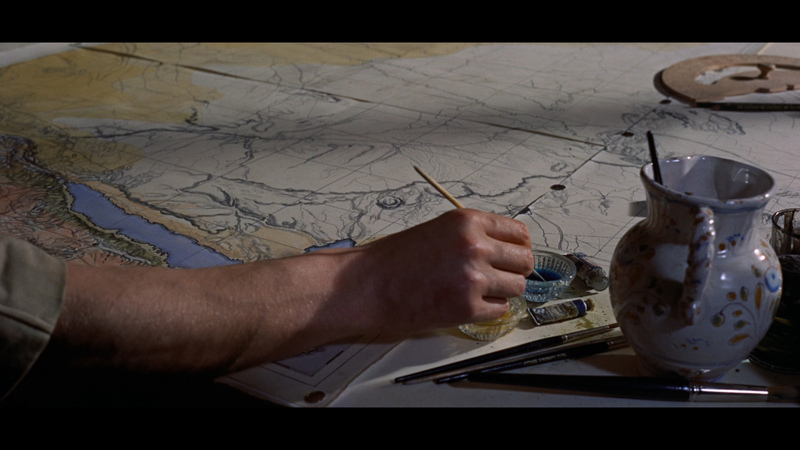 There is some wow and warping of sound and music that remains after the restoration, that occurred unnecessarily when the film wasted away far too long in the Columbia Pictures vaults until it was saved. The greatness of this film is undeniable and we can enjoy it for generations to come, especially in a better version like the Superbit edition. 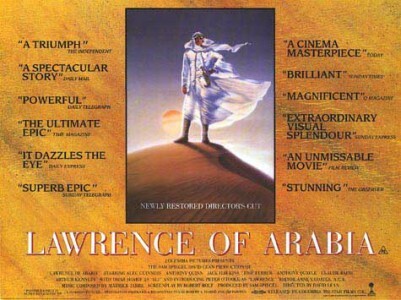 If a Superbit Deluxe is ever made, it should have more extras than the Limited Edition does now, including 1989 premiere footage that did make the 12” LaserDisc box from Criterion. 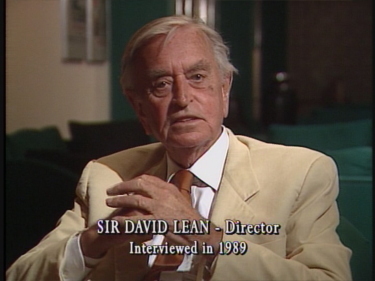 Too bad Steven Spielberg did not audiotape the "audio commentary" that occurred when he watched the film with Lean. 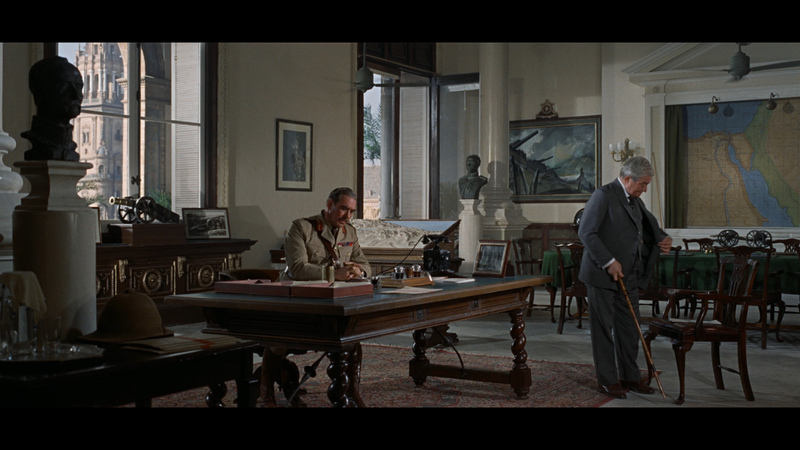 Robert Harris comments on the missing frames: The missing frames are... missing frames. 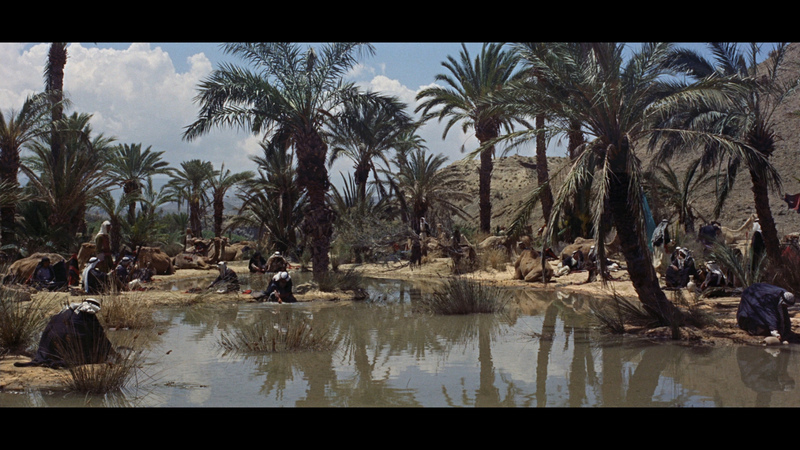 A result of the various re-cuttings, each which affected the original camera elements. We now do have the ability to (more or less) re-create the frames, which will leave us with dead track. 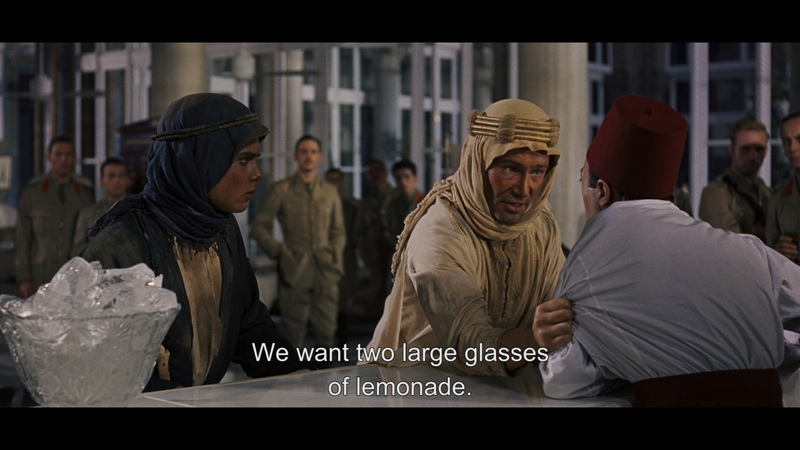 If we ever do a full 222 minute cut - The Premiere Version - that may come into play. 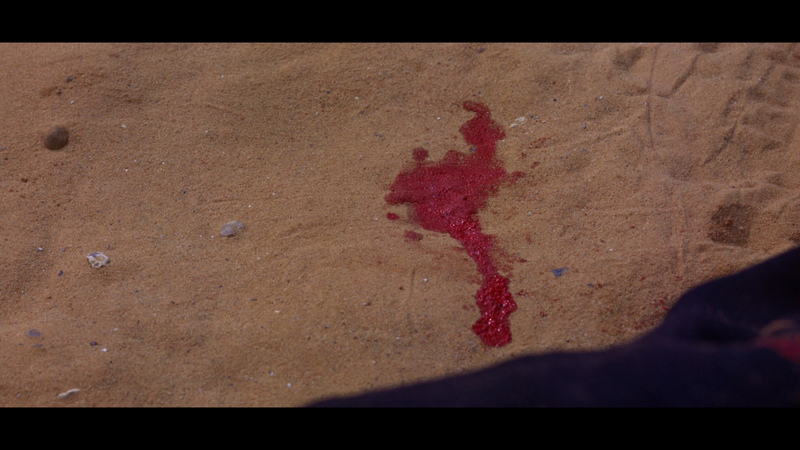 The vertical white lines in some shots are heat damage to the Oneg, which literally "cooked" in the desert, although every effort was made to control temperature and humidity. To my eye, the 4th and 5th examples have an underexposed look to them. 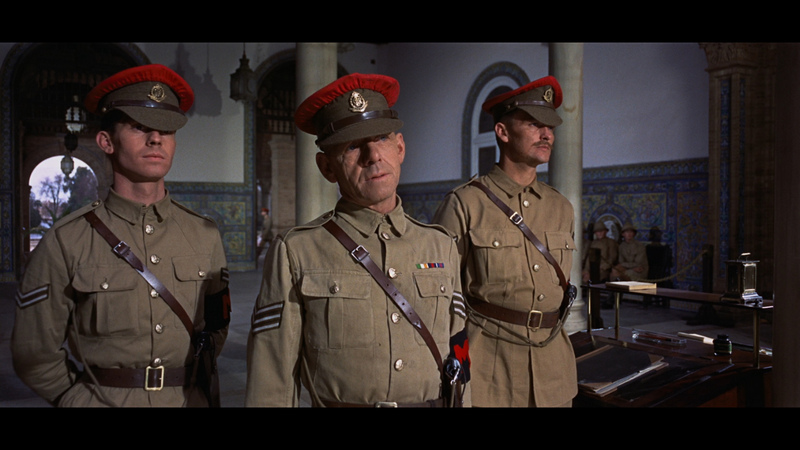 I've found that when a sub-master is shipped to other territories, there is a general move toward a thinner image. Thanks for the effort in putting this on line.